As people play games on PCs, they find places where they are most comfortable and genres that suit them. For example, someone who traditionally played on consoles and transferred over might find they enjoy the MMO experience when they have a full keyboard in front of them. While ROCCAT’s gaming keyboards are great for anyone who enjoys plopping in front of their computer and opening up their Steam library, the $89.99 ROCCAT Horde AIMO is one that might especially appeal to MMO or FPS players. The ROCCAT Horde AIMO is one of the many peripherals in the company’s AIMO lineup. As you can expect, it comes with many of the standard features one would expect from the company. Like the Vulcan Mechanical Keyboard, it has the sorts of standard features you would expect, like an optional detachable palm rest, tuning wheel and configurable keys, compatibility with the ROCCAT Swarm software that helps keeps drivers relevant, and the AIMO intelligent light system that has 16.8M colors and configurable illumination scenarios across different zones. You know, the basics. Where the ROCCAT Horde AIMO gets a little more specialized is when it comes to how it works and the technology it offers. For example, people are often split between mechanical and membrane keyboards. Each offers their own benefits. For example, a mechanical keyboard doesn’t have a membrane that can wear out, can be a bit more tactile, let you remove keycaps, and can be heavier. A membrane keyboard, on the other hand, can be quieter, less expensive, and require less maintenance. Each one has its benefits. But with the ROCCAT Horde AIMO, you don’t have to choose. 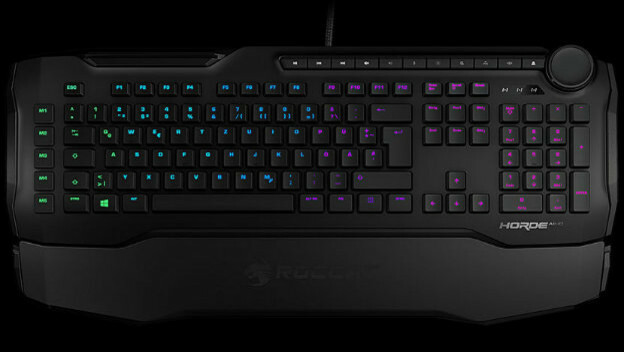 The ROCCAT Horde AIMO uses membranical keys, which are a hybrid between mechanical and membrane. This means a faster actuation speed than a standard membrane keyboard, coming in at 7.8ms for regular key presses and 5.0ms for your macro key presses. They have midway travel actuation points too, which means you do not have to press as hard. It is is quieter than a mechanical keyboard and requires less maintenance too. It even has what ROCCAT calls a precision key layout that makes it easier for your fingers to find, rest on, and press the keys. And with normal membrane keyboards, making sure it is precise might be a problem, but this model has anti-ghosting to ensure it knows exactly which buttons you press. Its other distinctive feature are the quick-fire macro keys. Remember earlier how I mentioned people might need a gaming keyboard if they enjoy MMOs or maybe even FPS games? Well, the ROCCAT Horde AIMO has five quick-fire macro keys. They are all on the left side of the keyboard and are slightly lower than the standard keys. Each one also has a higher actuation rate. 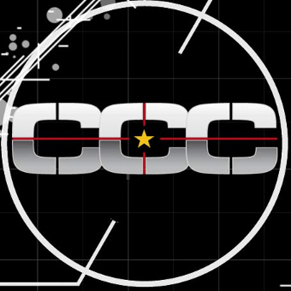 This means it is easy for your left pinky, say, to find and press the correct one to trigger a specific action in your game instantly. At the same time, they are out of the way and won’t accidentally get triggered unintentionally. 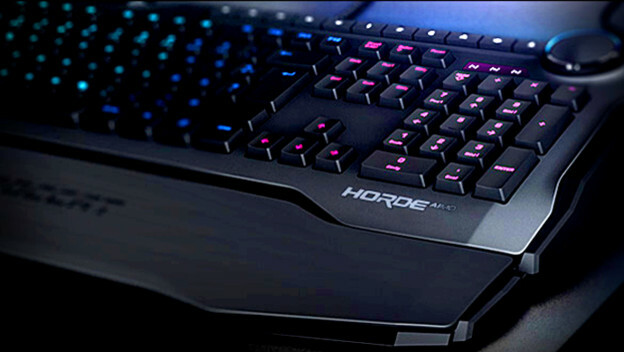 The ROCCAT Horde AIMO is the sort of keyboard designed to meet certain needs. It is easy to use and maintain. It offers a balance between mechanical and membrane worlds. It has the same sort of style as other ROCCAT products, thanks to the AIMO lighting tech built into it. There is even a sense of catering to players of specific genres, with its quick-fire macro keys. At the same time, everything here can also apply to any kind of PC gamer, ensuring a quality experience for anyone who considers picking one up.